The People’s Pavilion is a design statement of the new circular economy, a 100% circular building where no building materials are lost in construction. From 21 to 29 October 2017 the Dutch Design Week (DDW)—one of the most important design events in Northern Europe—took place in Eindhoven (NL). In 2017 DDW and Design City Eindhoven launched the first edition of the World Design Event (WDE), which provides a platform for future makers from all over the world. At the heart of the Dutch Design Week is its People’s Pavilion, which had been designed by bureau SLA & Overtreders W.
The thoughtfully designed wine tasting pavilions are sustainably built and one with nature. 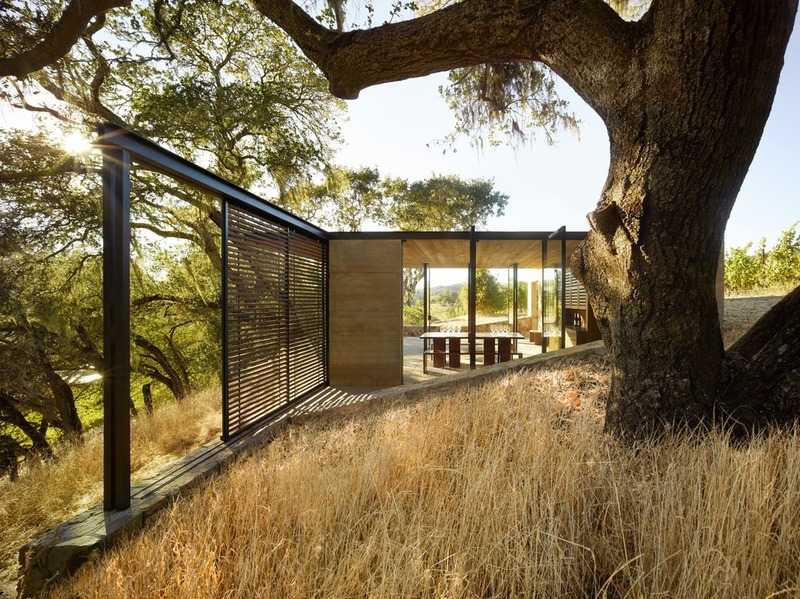 San Francisco, United States, 2017-07-05 – Walker Warner Architects has been awarded a coveted Citation Award from the American Institute of Architects San Francisco (AIA SF) chapter for the newly completed Quintessa Pavilions in Napa Valley, Calif. The firm designed the original Quintessa Estate Winery in 2003. Walker Warner Architects’ portfolio of estate projects and custom residences in the Western United States and Hawaii showcases simple elegance and sensitivity to the environment. Bamboo is very common in Vietnam and other tropical countries as well. Bamboo is free self-element by mean of anti- manipulation processing, but difficult of construction. In Vietnam our local great masters had knowed and transfered a best simple detail of connecting them together by only a short bamboo sticks. 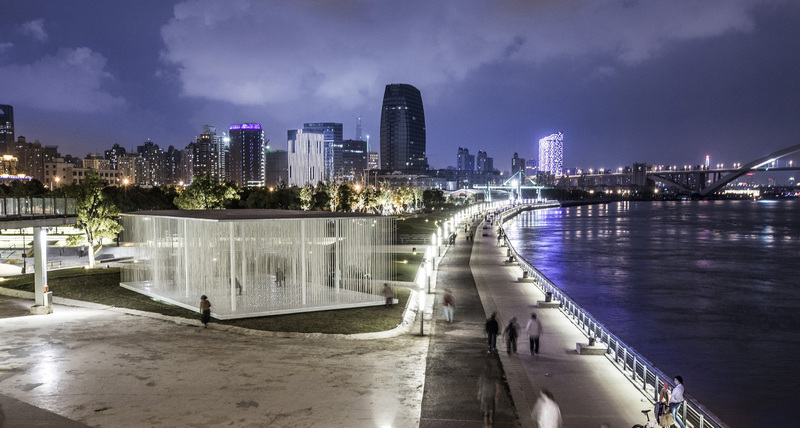 The Shanghai West Bund Biennial for Architecture and Contemporary Art, China, officially opened this week, and it has pavilions designed by Danish schmidt hammer lassen architects. Based on the themes Reflecta and Fabrica, the biennial showcases contemporary architecture, art and theatre. schmidt hammer lassen architects were invited to design pavilions alongside some of China’s most respected architects and selected international architectural practices, including the 2012 Pritzker Prize winner Wang Shu. The contribution of schmidt hammer lassen architects consists of an art installation pavilion, The Cloud, and a composition of pavilions containing support facilities including a café, a gallery and a bookshop. The pavilions are placed adjacent to one of two industrial cranes on the Xuhui West Bank Riverside. The tall crane stands as an icon that people all over the world can recognize and relate to and symbolizes balance, performance and gravity. The aim of the art installation pavilion, The Cloud, is to amplify and contrast these qualities. 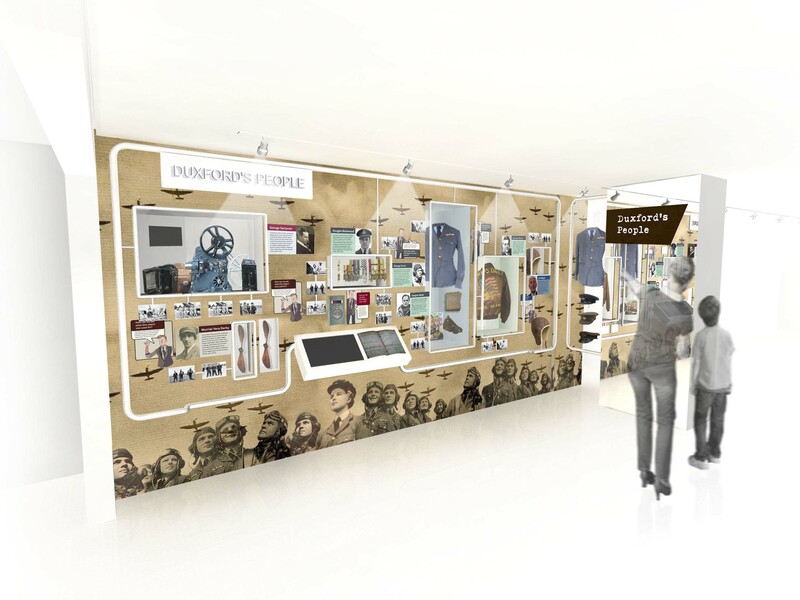 Experiential designers MET Studio have announced that they are working with IWM Duxford on a new permanent exhibition, which will focus on the former military airfield’s incredible war- and peace-time history. The exhibition – Historic Duxford – which is due to open on Thursday 28 March 2013, is the result of a collaboration between MET Studio and the Interpretation and Collections Team from IWM Duxford. It will be situated in the old Watch Office, opposite the Control Tower, and aims to bring to life Duxford’s history as a fully-operational military airfield (from 1918 to 1961), for a family audience. AWP and Swiss architects HHF were invited to enter a competition to design a pavilion for the celebrated Swiss campus, now home to SANAA’s Rolex Learning Center. The brief was to create space for a museum, concert hall and welcome centre. Place Cosandey – the main open space of the EPFL campus: The first stage of the EPFL campus was organized by a potentially infinite spacial and functional grid. But what was meant to be a highly flexible and open scheme turned out to be highly problematic, resulting in mainly backside situations. Most of the later extensions of the EPFL sought to change this urbanistic typology by formulating an end to the endless grid. Due to the recent and ongoing efforts to infuse a sense of the ground level to the campus, place Cosandey and its surrounding grassy fields are the main open spaces at ground level at the EPFL today. 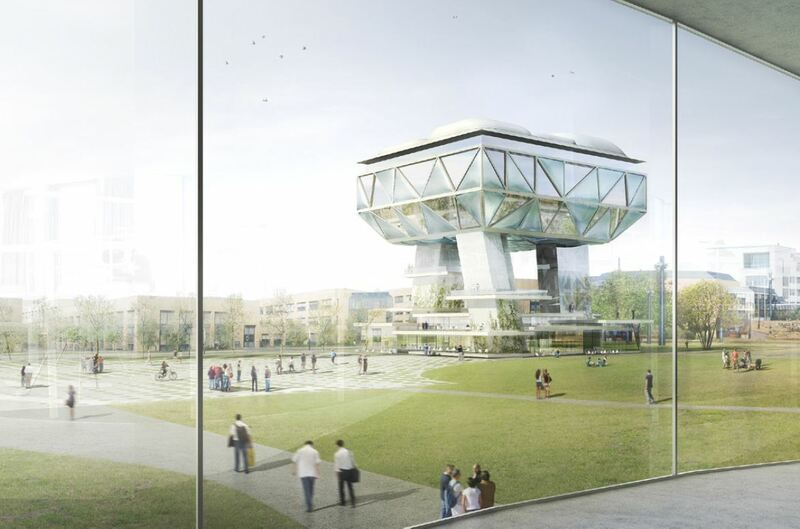 Three complementary programs vertically combined into one exciting object: The three pavilions, with a surface area of over 3’000 m2, or about one third of place Cosandey, have very different potentials of interaction with their surroundings. A vertical organization of the three programs not only minimizes the use of the limited campus surface, but makes use of the specific way that each pavilion interacts with the campus. 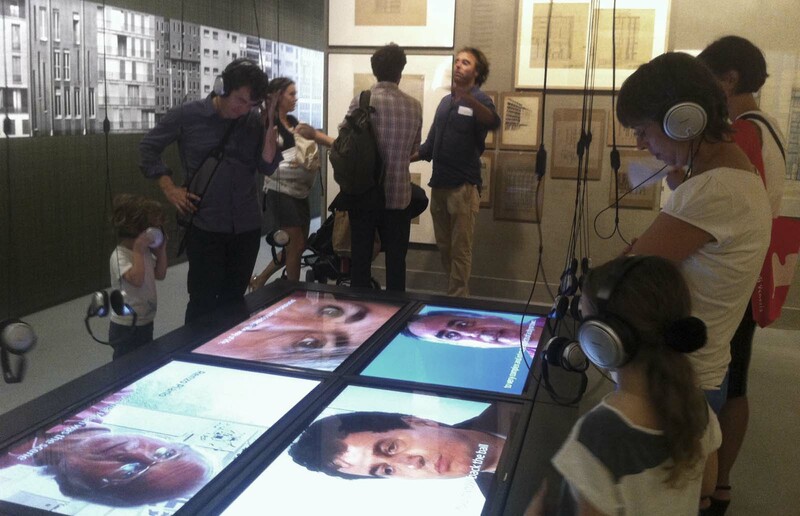 The pavillon Facecity in the Biennale 2012, Common Ground, gives form to the idea of the curator, Fulvio Irace, of continuity in architecture. Reconsidering the architecture of Milan in the Fifties and Sixties, where architects, belonging to different generations and with different positions, built the identity of the city without giving up their personal poetics. The central topic of this thought is the façade, commented by Alberto Savinio in Ascolto il tuo cuore città, 1945: …On the façade of buildings is not only written their date of birth, but also written the moods, the manners, the most secret thoughts of their time…, together with the flat window, theorized by Gio Ponti as the way to shape modernity. 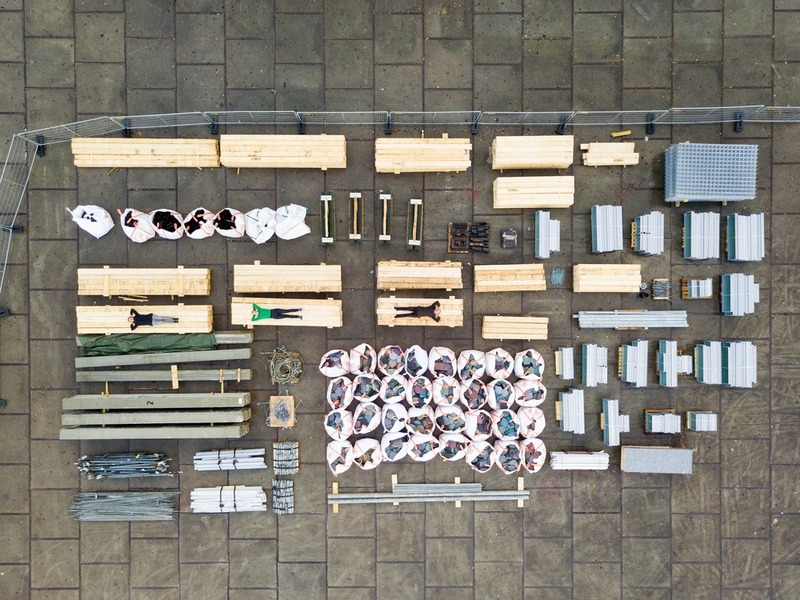 Designed by J. MAYER H., the ‘Schaustelle’ or ‘show site’ will be a temporary pavilion and platform for the four collections housed at the Pinakothek der Moderne. The Pinakothek der Moderne is due to close in February 2013 for renovation work and is expected to reopen again in September 2013. The temporary closure has been seen as an opportunity that will give rise to a makeshift exhibition building – the Schaustelle. 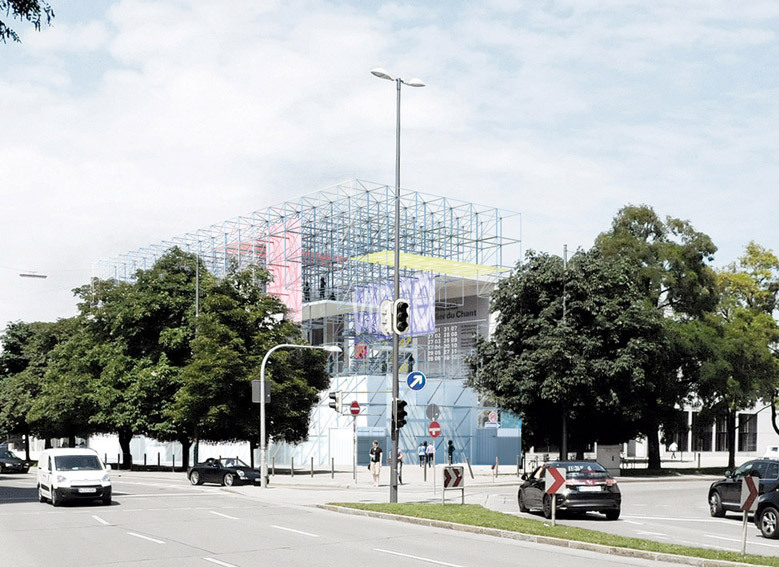 Set up for the duration of the renovations, it will provide the four collections at the Pinakothek der Moderne with a lively platform to hold exhibitions, workshops, talks, performances, film screenings and video installations and much more besides. The scheme has been initiated by the Pinakothek der Moderne Foundation.